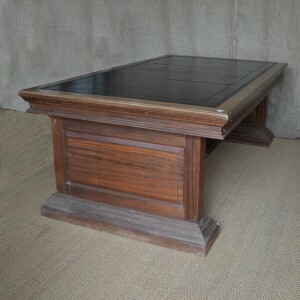 A Late 19thC Mahogany Side Table. A good sized mahogany side/hall table with dark oak upright supports c.1880 of simple gothic form. An unusual late 19thC tripod table comprising an industrial base holding a contemporary marquetry circular top. 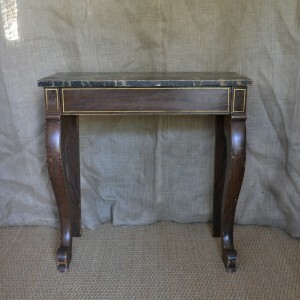 A rather beautiful small painted regency console table with drawer; the legs are a simulated rosewood and the top is a green marble.